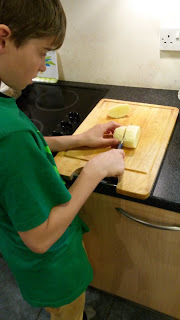 Luke decided that he wanted to make tea tonight. 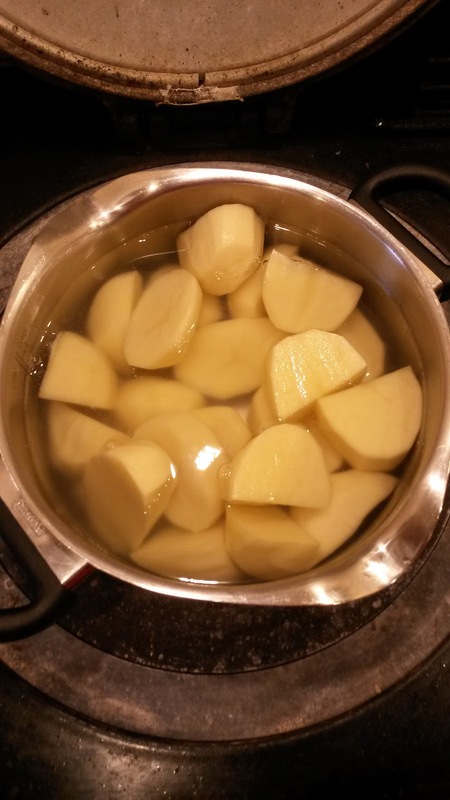 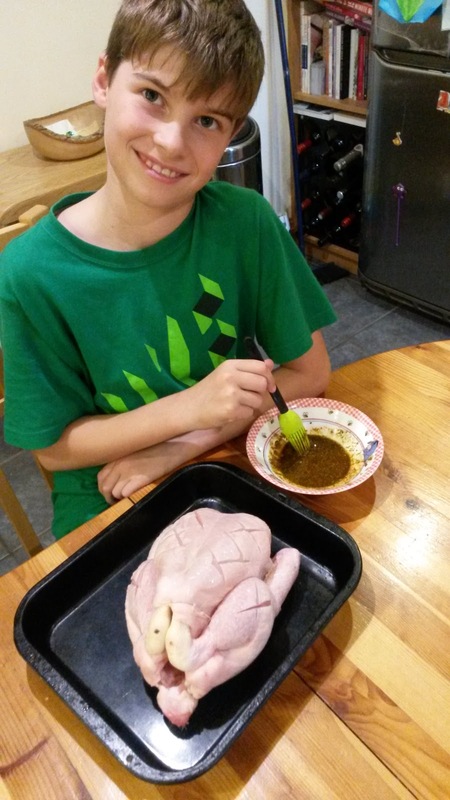 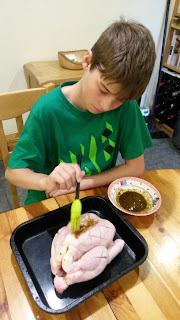 He brushed the oil and herb mix onto the chicken and then chopped up the potatoes. 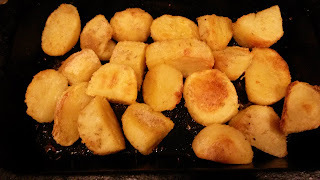 He par-boiled them before we put them in the oven to roast. 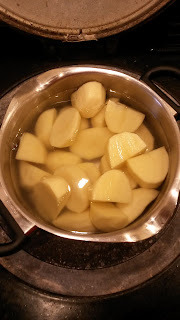 The potatoes were lovely and crispy and tasted delicious. 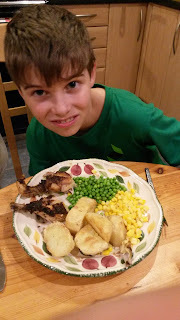 He decided to serve the chicken with peas and sweetcorn as they are his favourite vegetables. I can see we have another budding chef on our hands!